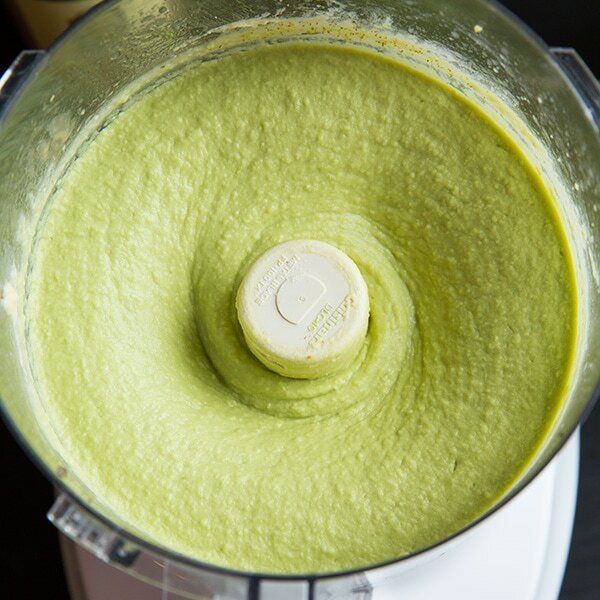 This Avocado Hummus recipe is like guacamole and hummus in one, and it is the smoothest and creamiest hummus recipe I’ve ever made! And the flavor unbelievably delicious! Perfect for pita chips and veggies, or use it as a spread on your favorite deli style turkey or veggie sandwich. 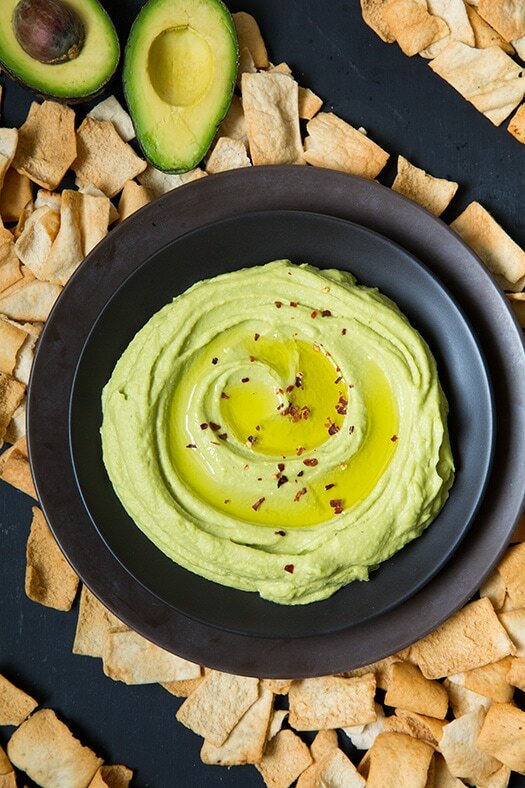 This easy avocado hummus dip is the perfect snack any day any time! Who could resist? Here’s how I want to get part of my veggie intake for the day! 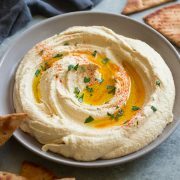 My whole family loved this hummus recipe, kids included (and that’s saying something, I hated hummus when I was a kid). 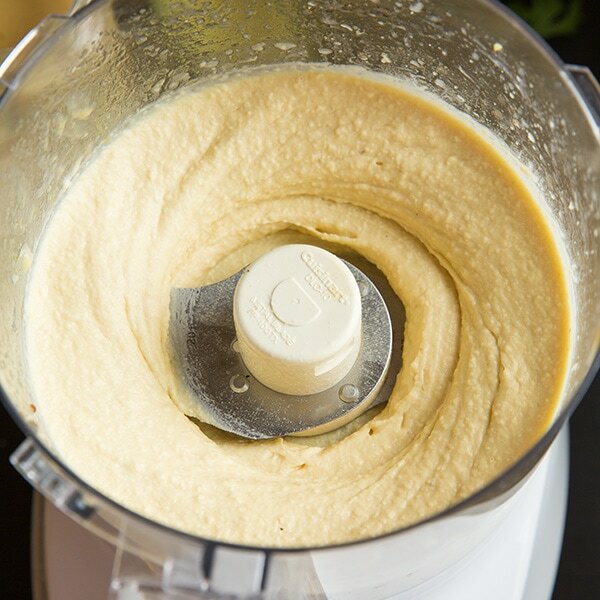 This homemade hummus can be made in under 10 minutes and it makes for the perfect midday snack. If you make it to take to a party, you likely will be coming home without a drop left. 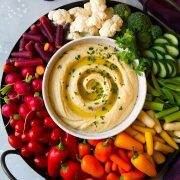 This is the best hummus recipe, I seriously could not stop eating it and I didn’t have to feel guilty since it’s a healthy dip. This definitely beats having potato chips dipped in a mayo loaded ranch dip for an afternoon snack, or that candy bar we like to reach for when we think we are too hungry to wait for dinner. 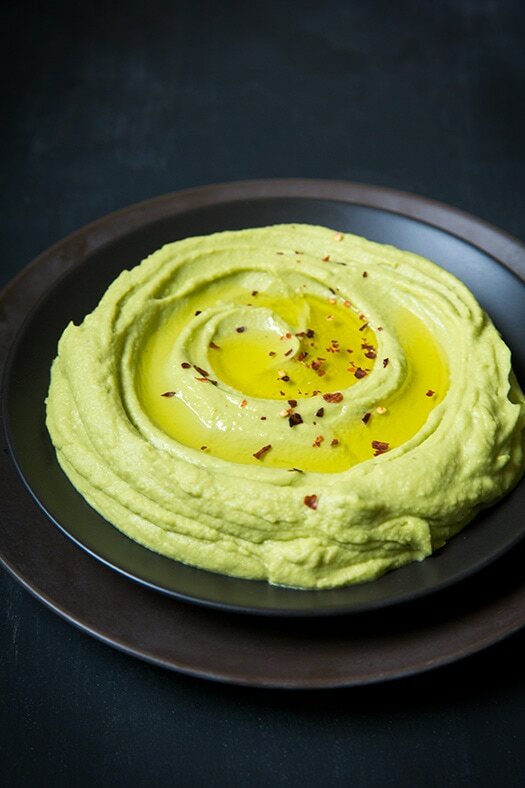 You might just find yourself craving this avocado hummus just as much as guacamole and tortilla chips. 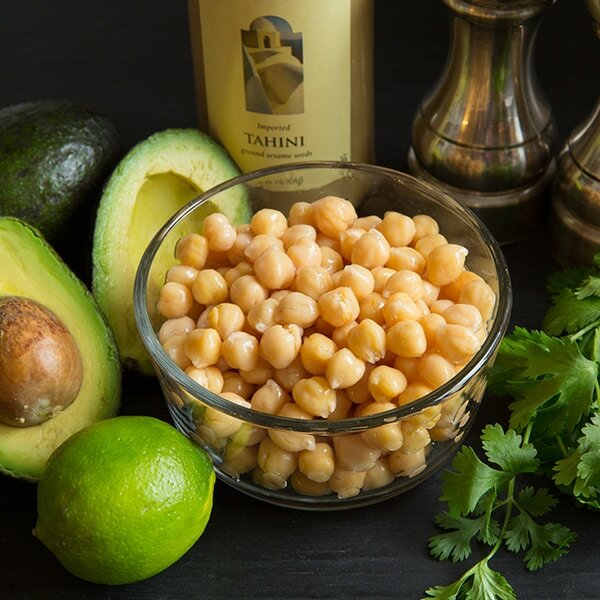 If you’d like the avocado flavor to shine through more in this hummus recipe you can reduce the tahini slightly, but if you want it to have more of a traditional hummus flavor leave it as it is. I did add the cilantro to mine, I just left it off for the pictures so you could see what the hummus looked like better (just in case you were wondering). This is the best hummus! It's rich and creamy and packed with that irresistible avocado flavor. Think hummus meets guacamole, I mean what more could you want? 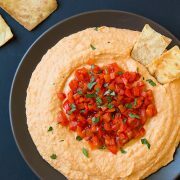 Perfect dip for veggies or pita chips or as a spread for your favorite sandwiches. 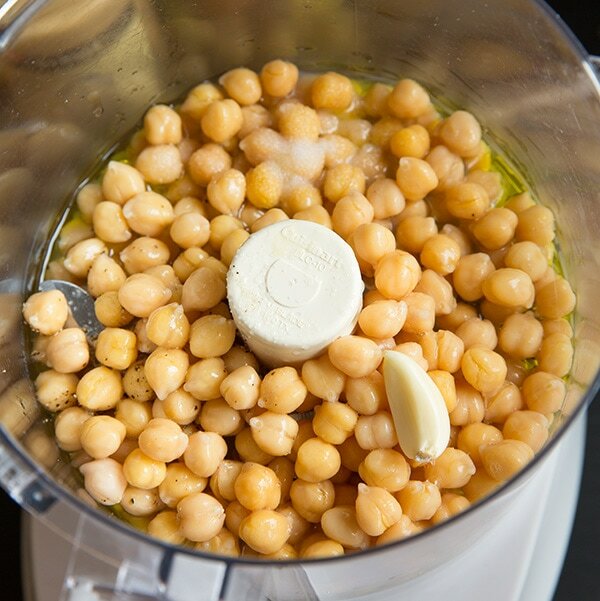 Pulse chick peas, olive oil, tahini, lime juice, and garlic in a food processor until smooth, about 2 minutes. 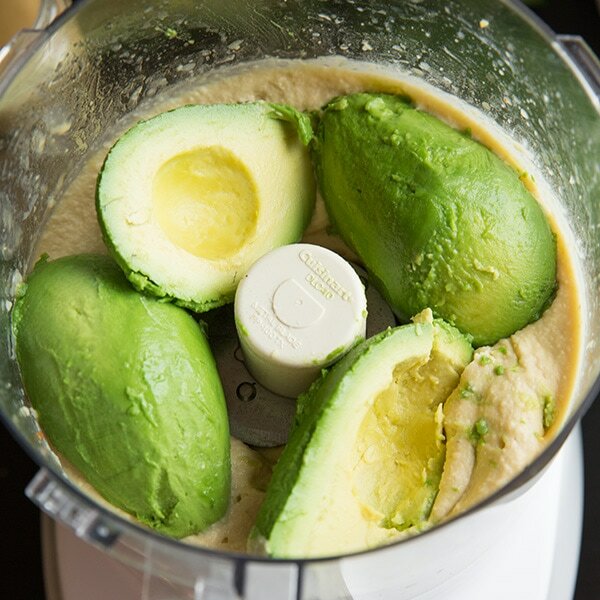 Season with salt and pepper to taste (I did a scant 1/2 tsp salt and about 1/8 tsp pepper), add cumin and avocados and pulse mixture until smooth and creamy, about 1 - 2 minutes longer.